Titan Industrial Chemicals, LLC, offers quality products and competitive prices for municipalities, schools, and other major businesses. 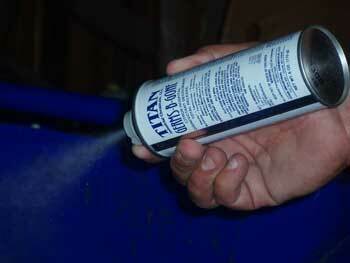 At Titan Industrial Chemicals, we are dedicated to fulfilling your customers’ needs. So, we’ve put together a collection of environmentally renewable products that are sure to please. Industries and municipalities alike, should have the same goal in mind, to protect the environment. With our renewable product line, not only do you help protect the environment, you save money in the process. We are growing green with you. Recommended for bilge cleaning, marine uses and vehicle clean-up; removes tar, asphalt, cosmoline and pitch. Free of all petroleum solvents, acids, or alkali caustic materials to form a transparent emulsion. An environmentally renewable multi-purpose degreaser. Using a combination of soybean and citrus extracts. Contains detergent builders for an extra punch of cleaning power. furniture, stainless steel, plastics, and vinyl. An all-purpose, all-surface, heavy-duty cleaner/ degreaser. It is formulated with natural orange solvents to be fully biodegradable, as well as provide a naturally pleasant orange fragrance. A natural pine oil soap for use on all hard surfaces. The odor of natural pine still signals the idea of a fresh clean smell in people’s minds. Besides being a deodorizer, it’s an excellent cleaner/degreaser that removes soils other products leave behind. A liquid heavy-duty degreaser for the removal of built-up deposits of good grease, oils, gums, asphalt, petroleum, waxes, and tar residues. Totally organic – completely biodegradable that will not significantly affect BOD levels. A 100% organic liquid heavy-duty degreaser for the removal of built-up deposits of food, grease, oils, gums, asphalt, petroleum, waxes, and tar residues. A blend of naturally occurring organic degreasers, detergents, and emulsifiers for easy dilution with water. A heavy-duty cleaner and degreaser program. Use as-is for tough cleaning, or may be diluted up to 64:1 for light duty cleaning. Follow dilution instructions for specific cleaning jobs. Contains biodegradable surfactants and degreasers. For use on walls, floors, tile, vinyl upholstery, metal, porcelain, concrete, and countertops. Removes grease, oil, grime, soap scum, lipstick, wax, food stains and dirt. Use on whitewalls to restore original color. A powerful, concentrated cleaner for spray-and-wipe applications. May be diluted up to 1:128 in cold water. Contains no harsh solvents, alcohol, or ammonia. Saves energy by using cold water for dilution. Biodegradable. Clean glass, mirrors, formica, plastic, stainless steel, fiberglass, vinyl, ceramic tile, porcelain, and chrome, and many other hard surfaces. Use as directed for tough cleaning jobs and also for general purpose cleaning. Biodegradable in hard or soft water. Dilution with cold water conserves energy. Designed for use on floors, walls, tile, terrazzo, concrete, woodwork, enamel, porcelain, windows, and metal surfaces. A special blend of environmentally preferable mild surfactants and hydrogen peroxide that produce a cleaner as strong as mineral acid, yet is mild like hand soap. This non-fuming bathroom cleaning product can be used for the toughest cleaning jobs, and is much safer than hydrochloric and phosphoric acid-based cleaners. A concentrated heavy-duty cleaner/degreaser, deodorizer, and stain remover. Contains hydrogen peroxide, biodegradable surfactants and degreasers. Follow dilution chart for specific cleaning jobs. Leaves no residue, rinses freely with water. Contains no caustic or harmful solvents. For use on walls, floors, tile, vinyl upholstery, metal, porcelain, concrete, and countertops. *Products recognized under the EPA Design for the Environment (DfE) Formulator Program.